The purpose of the handbook below is to promote the safe, coordinated and effective use of UAVs in a wide range of humanitarian settings. The handbook draws on lessons learned during recent humanitarian UAV missions in Vanuatu (March-April 2015) and Nepal (April-May 2015) as well as earlier UAV missions in both Haiti and the Philippines. The handbook takes the form of an operational checklist divided into Pre-flight, In-flight and Post-flight sections. The best practices documented in each section are meant to serve as a minimum set of guidelines only. As such, this document is not the final word on best practices, which explains why the handbook is available here as an open, editable Google Doc. We invite humanitarian, UAV and research communities to improve this handbook and to keep our collective best practices current by inserting key comments and suggestions directly to the Google Doc. Both hardcopies and digital copies of this handbook are available for free and may not in part or in whole be used for commercial purposes. Click here for more information on the Humanitarian UAV Network. Note: UAViators does not self-deploy but rather responds to requests from established humanitarian organizations. There are at the very least 15 humanitarian UAV teams operating in Nepal. We know this since these teams voluntarily chose to liaise with the Humanitarian UAV Network (UAViators). In this respect, the current humanitarian UAV response is far better coordinated than the one I witnessed in the Philippines right after Typhoon Haiyan in 2013. In fact, there was little to no coordination at the time amongst the multiple civilian UAV teams; let alone between these teams and humanitarian organizations, or the Filipino government for that matter. This lack of coordination coupled with the fact that I could not find any existing “Code of Conduct” for the use of UAVs in humanitarian settings is actually what prompted me to launch UAViators just months after leaving the Philippines. The past few days have made it clear that we still have a long way to go in the humanitarian UAV space. Below are some early observations (not to be taken as criticisms but early reflections only). UAV technology is highly disruptive and is only now starting to have visible impact (both good and bad) in humanitarian contexts. We don’t have all the answers; the institutions are not keeping up with the rapid pace of innovation, nor are the regulators. The challenges below cut across technical, organizational, regulatory challenges that are only growing more complex. So I welcome your constructive input on how to improve these efforts moving forward. Yes, we now have a Code of Conduct which was drafted by several humanitarian professionals, UAV pilots & experts and academics. However, this doesn’t mean that every civilian UAV pilot in Nepal has taken the time to read this document let alone knows that this document exists. As such, most UAV pilots may not even realize that they require legal permission from the government in order to operate or that they should carry some form of insurance. Even professional pilots may not think to inform the local police that they have formal authorization to operate; or know how to communicate with Air Traffic Control or with the military for flight permissions. UAViators can’t force anyone in Nepal to comply with national regulations or the Code. The Network can only encourage UAV pilots to follow best practices. The majority of the problems vis-a-vis the use of UAVs in Nepal would have been avoided had the majority of UAV users followed the Humanitarian UAV Code of Conduct. Yes, more countries have instituted UAV regulations. Some of these tend to be highly restrictive, equating 700-gram micro-UAVs with 50-kilo UAVs. Some apply the same sets of laws for the use of UAVs for amateur movie productions as for the professional use of UAVs for Search & Rescue. In any event, there are no (clear) regulations in Nepal as per research and phone calls made by the Humanitarian UAV Network (see also the UAViators Laws/Travel Wiki). To this end, UAViators has provided contact info to Nepal’s Civil Aviation Authority and Chief of Police. Update: All humanitarian UAV Teams are now required to obtain permission from the Ministry of Home Affairs to operate UAVs in Nepal. Once permission is granted, individual flight plants must be approved by the Nepal Army (via UNDAC). More info here (see May 8 Update). It has taken almost two weeks to get the above process in place. Clearly, without a strong backing or leadership from an established humanitarian group that is able and willing to mediate with appropriate Ministries and Civil Aviation authorities, there is only so much that UAViators can do to support the above process. Yes, we have workflows in place for the UAV teams to share their imagery, and some already have. Alas, limited Internet bandwidth is significantly slowing down the pace of data sharing. Some UAV teams have not (yet) expressed an interest in sharing their imagery. Some have not provided information about where they’re flying. Of course, they are incredibly busy. And besides, they are not required to share any data or information. The best UAViators can do is simply to outline the added value of sharing this imagery & their flight plans. And without strong public backing from established humanitarian groups, there is little else the Network can do. Update: several UAV teams are now only sharing imagery with local and national authorities. If the UN and others want this imagery, they need to go through Nepali authorities. Yes, UAViators is indeed in touch with a number of humanitarian organizations who would like aerial imagery for specific areas, however these groups are unable (or not yet willing) to make these requests public or formal until they better understand the risks (legal, political and operational), the extent of the value-added (they want to see the imagery first), the experience and reliability of the UAV teams, etc. They are also weary of having UAV teams take requests for imagery as carte blanche to say they are operating on their behalf. At the same time, these humanitarian organizations do not have the resources (or time) to provide any coordination support between the Humanitarian UAV Network, appropriate government ministries and Nepal’s Civil Aviation Authority. Yes, we have a dedicated UAViators site for Nepal updated multiple times a day. Unfortunately, most UAV Teams are having difficulty accessing this site from Nepal due to continuing Internet connectivity issues. This is also true of the dedicated UAViators Google Spreadsheet being used to facilitate the coordination of UAV operations. This online resource includes each team’s contact info, UAV assets, requests for aerial imagery, data needs, etc. We’re now sharing this information via basic text within the body of emails; but this also contributes to email overload. Incidentally, the UAVs being used by the 7 Teams in Nepal are small UAVs such as DJI’s Phantom and Inspire and Aeryon SkyRangers and eBees for example. Yes, we have set up a UAV-Flights-Twitter map for Nepal (big thanks to colleagues at LinkedIn) to increase the transparency of where and when UAVs are being flown across the country. Alas, none of the UAV teams have made use of this solution yet even though most are tweeting from the field. This service allows UAV teams to send a simple tweet about their next UAV flight which then gets mapped automatically. If not used in Nepal, perhaps this service will be used in the future & combined with SMS/WhatsApp. Yes, UAViators is connected with the Digital Humanitarian Network (DHN); specifically Humanitarian OpenStreetMap (HOT) and the Standby Task Force (SBTF), with the latter ready to deploy QCRI’s MicroMappers platform for the analysis of oblique imagery. Yet we’re still not sure how best to combine the results of nadir imagery and oblique imagery analysis to add value. Every point on a nadir (vertical) image has a GPS coordinate; but this is not true of obliques (photos taken at an angle). The GPS data for oblique photographs is simply the GPS coordinates for the position of the camera at the time the oblique image was taken. (Specialist gimbal mounted cameras can provide GPS info for objects in oblique photographs, but these are not in use in Nepal). Yes, UAViators has access to a local physical office in Kathmandu. Thanks to the kind offer from Kathmandu Living Labs (KLL), UAV pilots can meet and co-work at KLL. However, even finding a time for all the UAV teams to meet at this office has proven impossible. And yet this is so crucial; there are good reasons why humanitarians have Cluster meetings. Yes, 3D models (Point Clouds) of disaster areas can add insights to disaster damage assessments. That said, these are often huge files and thus particularly challenging to upload. And when these do get posted on-line, what is the best way to have them analyzed? GIS experts and other professionals tend to be completely swamped during disasters. But even if a team were available, what methods & software should they be using to assess and indeed quantify the level of damage in each 3D model? Can this assessment be crowdsourced? And how can the results of 3D analysis be added to other datasets and official humanitarian information products? Yes, the majority of UAV teams that have chosen to liaise with the Humanitarian UAV Network are now in Nepal, yet it took a while for some teams to get on site and there were delays with their UAV assets getting into the country. 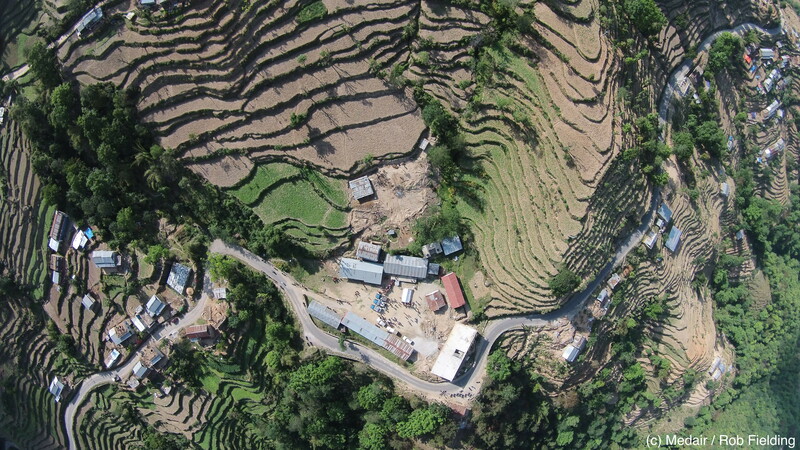 This points to the need for building local capacity within Nepal and other disaster-prone countries so that local organizations can rapidly deploy UAVs and analyze the resulting imagery themselves after major disasters. This explains why my colleague Nama Budhathoki (at KLL) and I have been looking to set up Kathmandu Flying Labs (basically a Humanitarian UAV Innovation Lab) for literally a year now. In any event, thanks to LinkedIn for Good, we were able to identify some local UAV pilots and students right after the earthquake; some of whom have since been paired with the international UAV teams. Building the capacity of local teams is also important because of the local knowledge and local contacts (and potentially the legal permissions) that these teams will already have. So where do we go from here? Despite the above challenges, there is a lot more coordination and structure to the UAV response in Nepal than there was following Typhoon Haiyan in 2013. Then again, the challenges that come with UAV operations in disaster situations are only going to increase as more UAV teams deploy in future crises alongside members of the public, drone journalists, military UAVs, etc. At some point, hopefully sooner (before accidents and major mistakes happen) rather than later, an established humanitarian organization will take on the responsibility of mediating between UAV teams, UAViators, the government, civil aviation officials, military and other aid groups. What we may need is something along the lines of what GSMA’s Disaster Response Program has done for Mobile Network Operators (MNOs) and the humanitarian community. GSMA has done a lot since the 2010 Haiti Earthquake to bridge MNOs and humanitarians, acting as convener, developing standard operating procedures, ethical guidelines, a global model agreement, etc. Another suggestion floated by a humanitarian colleague is the INSARAG Secretariat, which classifies and also categorizes Search and Rescue teams. Each teams has to “sign onto agreed guidelines (behavior, coordination, markings, etc). So, when the first one arrives, they know to setup a reception space; they all know that there will be coordination meetings, etc.” Perhaps INSARAG could serve as a model for UAViators 2.0. Update: UNDAC is now serving as liaison for UAV flights, which will likely set a precedence for future humanitarian UAV missions. Coordination is never easy. And leveraging a new, disruptive technology for disaster response is also a major challenge. I, for one, am ready and want to take on these new challenges, but do I need a willing and able partner in the humanitarian community to take on these challenges with me and others. 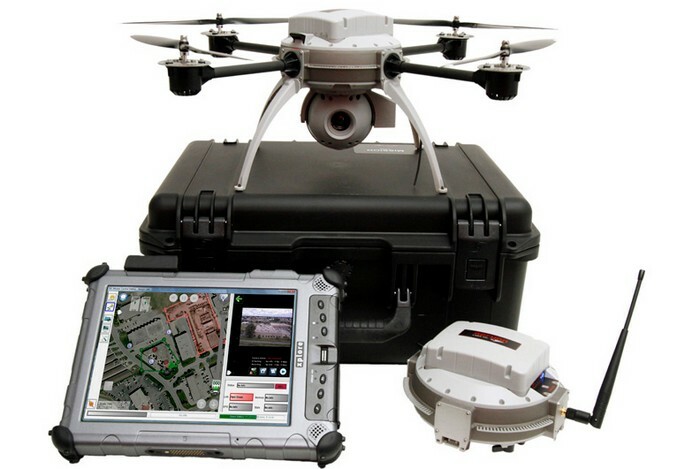 The added value of timely, very high-resolution aerial data during disaster is significant for disaster response, not to mention the use of UAVs for payload transportation and the provision of communication services via UAV. The World Humanitarian Summit (WHS) is coming up next year. Will we unveil a solution to the above challenges at this pivotal Summit or will we continue dragging our feet and forgo the humanitarian innovation opportunities that are right on front of our eyes in Nepal? In the meantime, I want to thank and acknowledge the following UAV Teams for liaising with the Humanitarian UAV Network: Team Rubicon, SkyCatch, Halo Drop, GlobalMedic, Medair, Deploy Media and Paul Borrud. Almost all teams have already been able to share aerial imagery. If other responders on the ground are able to support these efforts in any way, e.g., CISCO providing better Internet connectivity, or if you know of other UAV groups that are moving faster and able to provide guidance, for example, then please do get in touch. How quickly we forget what has come before us. Is it because our technologies are so new or different that recommendations in the disaster literature don’t apply to us? The technology community repeatedly emphasized the unprecedented nature of the response in Haiti, particularly with respect to communication with disaster effected populations. Was is it really a complete departure? To a large extent yes, but were there really no guidelines available? Guidelines to address these challenges do exist. I’ll draw on two documents that are both 4 years old. The first is my colleague Imogen Wall’s study “The Right to Know: The Challenge of Public Information and Accountability in Aceh and Sri Lanka”. The second is the Final Report of the Global Symposium+5. Many organizations are still paying for mistakes made in communicating with communities in the early days of the tsunami recovery effort, resulting in what many call the ‘broken promises’ phenomenon. The inherent problems of managing expectations were exacerbated by a widespread use of translators and jargon and the extreme levels of trauma experienced by beneficiaries. Confusion about policies, an inability to report misuse of aid, ignorance about where to turn for assistance, cynicism and anger stemming from broken promises about aid, and mismanaged expectations were all noted in the 2004 Tsunami. But while cases of actual broken promises undoubtedly occurred, the majority of perceived broken promises actually seem to have resulted from communications problems. Managing communications with communities is key to successful community-driven development. Knowledge is power: without information, communities cannot participate, make choices, or ask questions. Good communication is also about trust and partnership, and is thus at the heart of successful community partnerships. Putting communities at the center of disaster response requires that adequate provision be made for community access to information about projects, channels through which they can ask questions, and mechanisms by which they can register dissatisfaction or complaints. Such efforts both supply information and create space for dialogue between communities and aid agencies, a two way information flow tht is beneficial to both parties. No accountability and transparency system is complete without a strong complaints mechanism. Complaints mechanisms have an important role in conflict mitigation at a community level and in the prevention of violence. Donors must require downward accountability and communications strategies in projects they fund and by exploring ways in which they can receive feedback on projects from beneficiaries. Until information is properly shared with beneficiaries, they will never be equal partners. And until they are provided with a voice and the ability to judge a project’s viability, organizations will never be able to claim that they enabled survivors to rebuild and move on to a as bright a future as possible. Primarily, beneficiaries want practical information that explains what aid is available, what assistance they can expect, how to apply for it, when aid will arrive, why what they have received might differ from their neighbor, and what to do if they are not satisfied. They are not interested in materials that simply promote a particular organization. Secondly, they are very interested in hearing how the aid effort is going, how money is being spent, what problems are being experienced elsewhere, and what solutions are being found. Low-tech solutions are almost invariably better. A simple bulletin board can do more to enhance transparency and accountability towards beneficiaries than any website. All IDP locations should be required to have a bulletin board, and aid organizations should be required to display basic project information and contact details. Broadly speaking, the aim of public relations (PR) is to promote an organization; the aim of public information (PI) is to channel information to the relevant audiences. But most communications expertise within international aid organizations is geared toward public relations. Aid organizations have a tendency to regard communication with beneficiaries as an optional extra rather than seeing information as a vital commodity and a humanitarian right, the key to empowerment, better relationships with beneficiaries and a more effective recovery effort. There has also been a failure to understand that information deprivation causes stress and exacerbates trauma. Organizations should consider, where appropriate, incorporating some form of community-bsaed monitoring and evaluation systems into their projects. Written community contracts between organizations and beneficiaries should be adopted wherever possible. There will always be questions regarding how much information can or should be shared with beneficiaries. Communities should be the driver of how much information will be shared. Always leave a contact name, number and address, ideally of the liaison person responsible for the community. With text messaging, a simple, short message can be sent to a list of phone numbers simultaneously. And while it is easy to compile a list of phone numbers of key people in beneficiary communities, collating and managing wider lists of numbers and making them available to aid organizations could be undertaken by a body such as OCHA’s Humanitarian Information Centers. SMS is a powerful medium that can be harnessed for otherwise very difficult tasks, such as providing information quickly that is available only at the last minute, such as times for aid deliveries or changes in a medical clinic’s arrival time in a certain area. The list of recipients can be easily tailored to include only those in a certain geographical area, enabling messages to be very precisely targetted. Programs designed to enhance two-way information-sharing and communication with affected populations are not mainstreamed into all phases of the humanitarian continuum or the UN cluster system. More needs to be done to financially support the establishment of these projects in the preparedness and early response phase. Provide easily understandable information to affected communities to encourage and empower people to take action to build and strengthen their resilience. The information should be developed with affected populations, incorporate relevant traditional and indigenous knowledge and cultural heritage and be tailored to different target audiences through both media and non-media communication channels, taking into account cultural and social factors. Provide funding and support to local media and journalistic organizations that have a role in providing information to affected populations in all phases, from preparedness, during response, and into recovery and reconstruction. Yes, we have new integrated platforms that allow for 2-way communication with disaster affected populations in near real time. But do these new tools render the above lessons learned and recommendations obsolete? If not, then why did the technology community not draw on them to guide their work in Haiti?